Hydrosols are floral waters that feel really refreshing when you spritz them on your body. They are also used in cooking, beauty products, and herbal medicine. 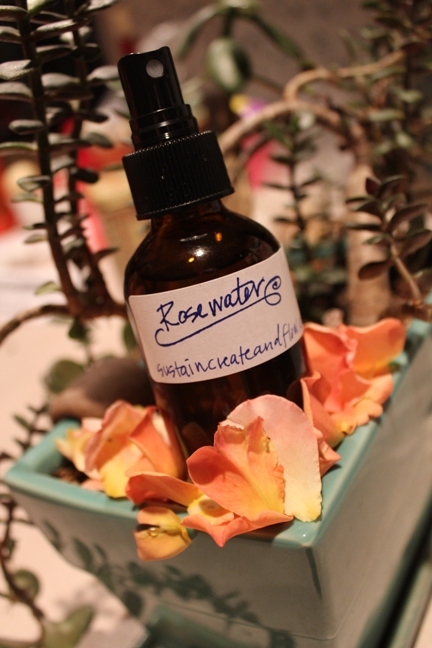 Jerica of Sustain, Create and Flow explains how she distilled a quart of rosewater using equipment everyone has in their kitchen. She walks you through each step and there are some helpful photographs. The process that produces the hydrosol is actually fascinating. Click the How to Make Rosewater and Other Hydrosols link below to read the complete recipe.